"A man's gotta do what a man's gotta do..."
Throughout his iconic film career, "The Duke" embodied the spirit of true American grit, individualism and bravery. From the sands of the American West, to the Sands of Iwo Jima, John Wayne captured hearts worldwide and portrayed courage in the face of all odds, as only he could. 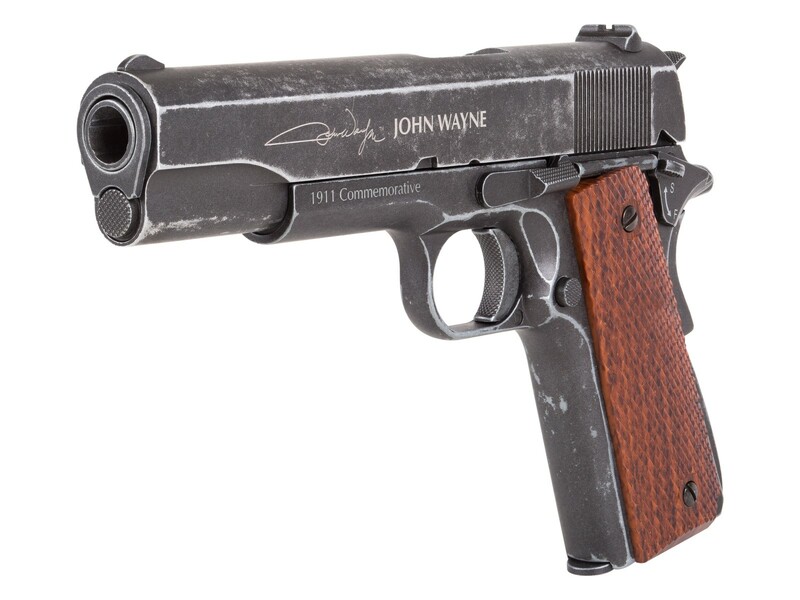 To honor the Duke's legacy, Air Venturi is proud to announce the Officially Licensed John Wayne Commemorative 1911 CO2 air pistol. 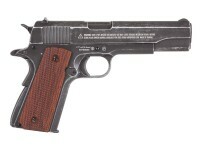 An icon in its own right, the Colt 1911 was carried by American servicemen from 1911 to 1986. Recognizing the appeal of this historic weapon, Air Venturi, has faithfully adapted the 1911 for use with .177 caliber ammo. This one-of-a-kind collector's item features John Wayne's signature emblazoned across its sturdy metal slide, which blows back when fired. 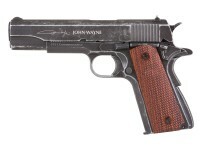 Once loaded up, this 1911 is capable of sending 18 BBs downrange at speeds up to 320fps. 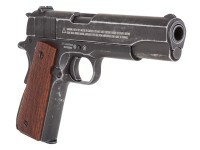 This 1911 kit includes 100 BB's so you can get right into the action. Hold on to your hats pilgrims, you're in for hours of fun on the range! 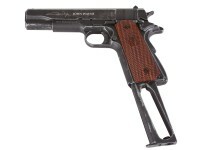 Things I liked: Every about this M1911 is perfect! I bought it refurbished and it still feels brand new! love the weathered look it feels like the real deal. It's almost too real! Like I feel like if I was shooting in my back yard and went to get the mail, I would be in danger of being mistaken for having a real m1911. When I'm not using it, it goes straight in a display box I made for it. Things I would have changed: Literally the only thing I would change is making all the warnings and white lettering on the slide stickers so you could peel them off. I wish it just had John Wayne's signature on it. What others should know: Don't even think about it! Just buy it on impulse, you will not regret it! Things I liked: Love the feel and weight of the pistol. It fits the original 45 shoulder holster perfectly as it should. Things I would have changed: Maybe a little less antiquing would make it look more authentic. What others should know: Buy It!!! Are the refurbished pistols exactly the same as a new one? Is it stamped or does it say refurbished anywhere on the pistol? I bought a refurbished 1911 gun in the past and it was stamped with an R on the slide. I was very unhappy that it was stamped. 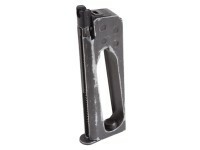 What poundage trigger pull does this pistol have?